Your inner history buff will appreciate Anthony Chapel and Lum and Abner Museum. Escape the urban bustle at Mount Magazine State Park and Mount Nebo State Park. You'll find plenty of places to visit near Hot Springs: DeGray Lake Resort State Park (in Bismarck), Cedar Falls Trail (in Morrilton) and Historic Washington State Park (in Washington). There's much more to do: kick your exploration up a notch at some of the top local zipline courses and adventure parks, admire the majestic nature at Lake Catherine State Park, do a tasting at The Winery of Hot Springs, and admire all the interesting features of Wegner Quartz Crystal Mines. To find where to stay, reviews, other places to visit, and more tourist information, use the Hot Springs road trip tool . Los Angeles to Hot Springs is an approximately 7.5-hour flight. You can also do a combination of flight and car; or drive. The time zone difference moving from Pacific Standard Time to Central Standard Time is 2 hours. While traveling from Los Angeles, expect somewhat warmer days and about the same nights in Hot Springs, ranging from highs of 90°F to lows of 71°F. Finish up your sightseeing early on the 16th (Fri) so you can travel to Princeton. 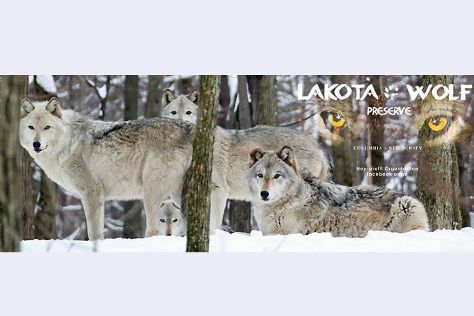 You'll explore the less-touristy side of things at Lakota Wolf Preserve and Stokes State Forest. Baps Shri Swaminarayan Mandir and Princeton University Chapel will appeal to history buffs. Explore Princeton's surroundings by going to Sterling Hill Mining Museum (in Ogdensburg), High Point State Park (in Sussex) and Duke Farms (in Hillsborough). The adventure continues: tour the pleasant surroundings at Delaware Water Gap, take in the architecture and atmosphere at Trinity Church, contemplate in the serene atmosphere at St. Paul's Catholic Church, and learn about winemaking at Brook hollow winery. Plan a trip to Princeton easily and quickly by telling Inspirock to suggest an itinerary. Traveling by combination of car, flight, and train from Hot Springs to Princeton takes 10.5 hours. Alternatively, you can drive; or do a combination of taxi and bus. Due to the time zone difference, you'll lose 1 hour traveling from Hot Springs to Princeton. Traveling from Hot Springs in August, things will get little chillier in Princeton: highs are around 83°F and lows about 64°F. Finish your sightseeing early on the 21st (Wed) so you can drive to Cape May. Get in touch with nature at Parasailing & Paragliding and The Wetlands Institute. Popular historic sites such as Cape May Carriage Company and Lucy the Elephant are in your itinerary. Explore the numerous day-trip ideas around Cape May: Ocean City (Speed Boats Tours & Stand-Up Paddleboarding). There's lots more to do: contemplate the long history of Emlen Physick Estate, explore and take pictures at Jersey Shore Alpacas, do a tasting at Turdo Vineyards & Winery, and get great views at World War II Lookout Tower. To see maps, reviews, and other tourist information, use the Cape May trip itinerary planner . Drive from Princeton to Cape May in 2.5 hours. Alternatively, you can do a combination of tram and bus; or do a combination of train and bus. In August, daily temperatures in Cape May can reach 82°F, while at night they dip to 66°F. Wrap up your sightseeing on the 27th (Tue) early enough to travel to Point Pleasant Beach. Point Pleasant Beach is a borough in Ocean County, New Jersey, United States. Visit Allaire State Park and St. Catharine Catholic Church for their historical value. Take a break from the city and head to Edwin B. Forsythe National Wildlife Refuge and Cattus Island County Park. Take a break from Point Pleasant Beach with a short trip to Popcorn Park Zoo in Forked River, about 38 minutes away. And it doesn't end there: look for all kinds of wild species at Island Beach State Park, take a leisurely stroll along Seaside Heights Boardwalk, kick back and relax at Belmar Beach, and stroll through Ocean Grove Beach. Make your Point Pleasant Beach itinerary with Inspirock to find out what to see and where to go. Getting from Cape May to Point Pleasant Beach by car takes about 2 hours. Expect a daytime high around 82°F in August, and nighttime lows around 65°F. Finish up your sightseeing early on the 31st (Sat) so you can travel back home.